The following pictures identify where and how our Inspector has obtained his Practical Buillding credentials and yes we are trying to impress you with previous experience as this is and should be as important to you and your choice when choosing an Inspector as it is to our Inspector being proud of his past achievments. Projects identified range from Residential to Combinations of Residential and Commercial to straight out Commercial and Industrial Construction. Our Inspectors intimate involvement in projects has included all of the following, Principle Contractor, Consultation, Professional Witness, Construction Site Management, Remedial work identification, Initiation and Supervision of remedial works of Incomplete and Incorrect or Non Compliant Works done by others, Unfinished Works and Defective Works Reporting, Structural and Architectural alternative design proposals and of course Handover to Client. The above experience provides our inspector with the knowledge and experience to identify how a building was built, identify immediate defects and the knowledge and ability to identify any defects that may not be causeing major concern at the time of the inspection but have the potential as time goes by. Pre Purchase Building Report STD First Home Owner. Pre Purchase Building Report STD. Pre Sales Building Report STD. Pre Pruchase Building Report STD Unit. Pre Sales Building Report STD Unit. 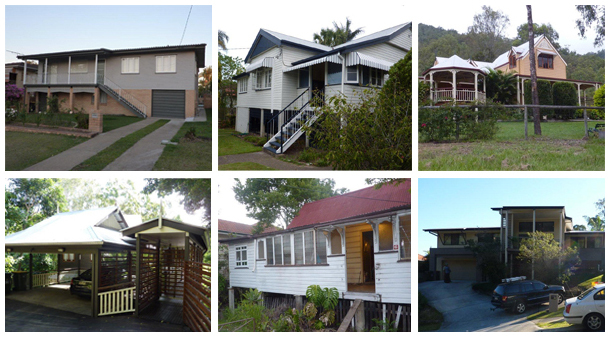 Servicing Greater Brisbane, Ipswich and Gold Coast Area's.